Home > Bluetooth > KOKKIA AirBuds Touch : Tiny Touch (TWS) TRUE WIRELESS Bluetooth Stereo and Voice Headset Earbuds with Secure-Fit. 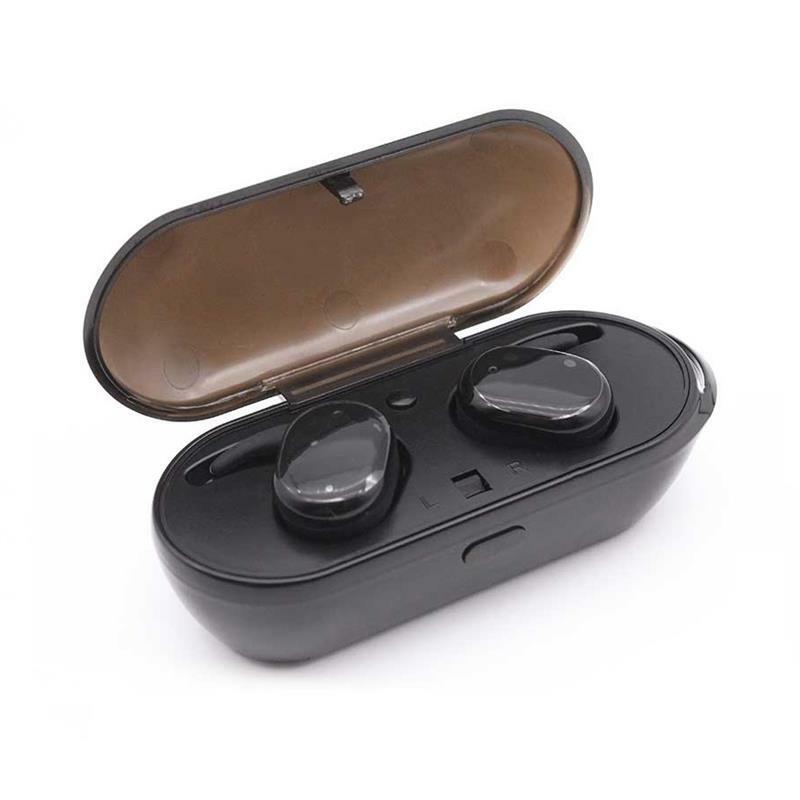 TRUE Wireless sweat-proof Bluetooth Stereo and Voice Headset with Touch Control, without any cumbersome annoying wires between left and right earbuds getting in your way. 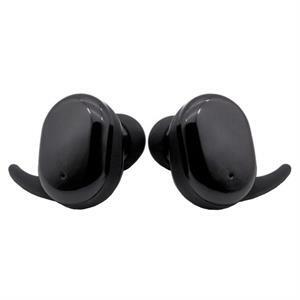 Perfect earbuds for Home, Office, School, Travelling, Outdoors, sitting, standing, walking, running, cycling, driving, climbing, skating, fishing. 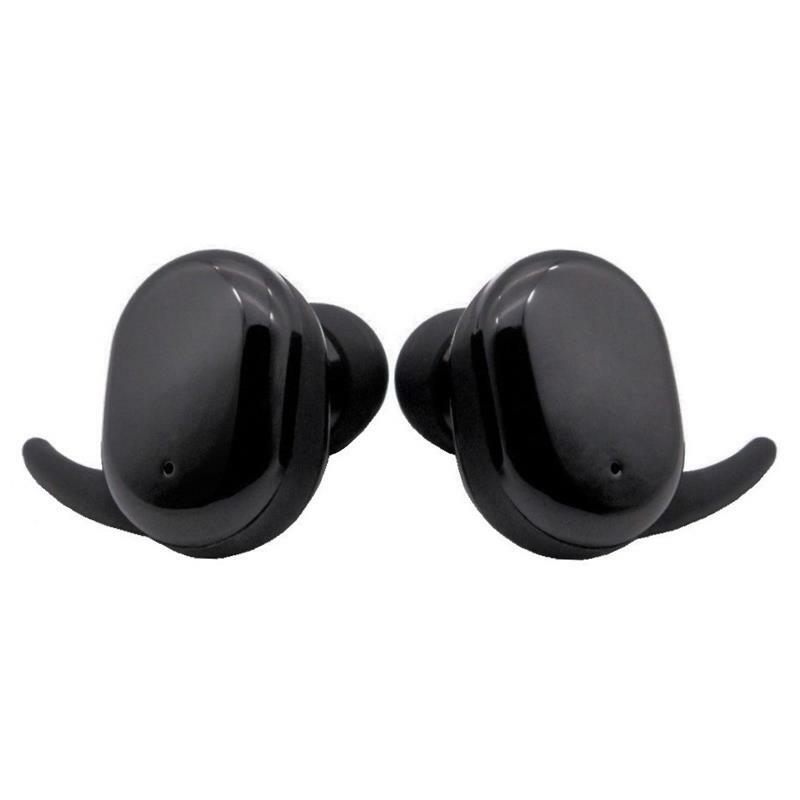 AirBuds Touch comfortable occluding fit ensures you hear more of the music or voice than the surrounding environmental noise , eg gym’s workout equipment, air-plane engine noise, etc. Secure-Fit ear-tips secure earbuds to your ears, providing stable and comfortable fit for any activity. Very tiny size and light weight, each earbud measuring (outside ear) and weighing 24mm x 17mm x 14mm and 5g (0.95” x 0.67” x 0.55” and 0.2oz). Long play time with built-in battery in both earbuds (left and right), and small light-weight charging case holder measuring and weighing 93mm x 42mm x 34mm and 37g (3.75” x 1.65” x 1.34” and 1.3oz). Up to 3 hours music playing with 1 full-charge of earbuds and 1 full charge of charging case holder can provide ear-buds with up to 3 times of full-charge. Compatible with Bluetooth iPhones/iPads/iPods, Bluetooth Android SmartPhones/Tablets/Devices, Bluetooth laptops/PCs/Desktops, Bluetooth Transmitter devices (eg KOKKIA i10s, i10, i10L, iAdapter, USB_Splitter, etc). TRUE wirelessly enjoy quality stereo music and clear loud voice calls with HD microphone. Touch controls for music: play/pause, next track. Phone touch controls include: answer/reject call, re-dialing last number. Music will automatically pause when answering voice call, and automatically resumes after completion of voice call. AirBuds Touch hi-fidelity, loud clear voice Bluetooth Stereo and Voice Headset. 1) TRUE WIRELESS. 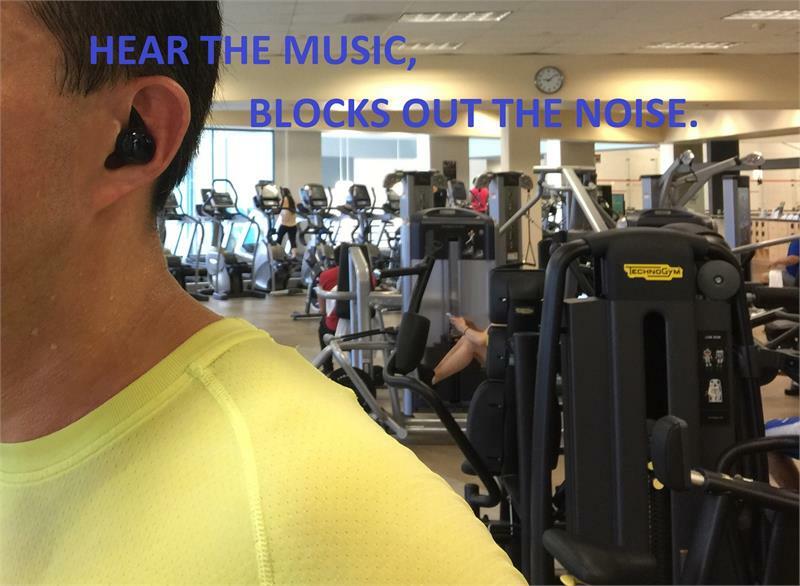 No Wires, No around-the-neck, behind-the-head, over-the-head, over/around-the-ears wires/headset pieces that gets in the way of your hair and/or eye-glasses/shirts/dresses, or bounces around when you jog/run and/or work-out in the gym. 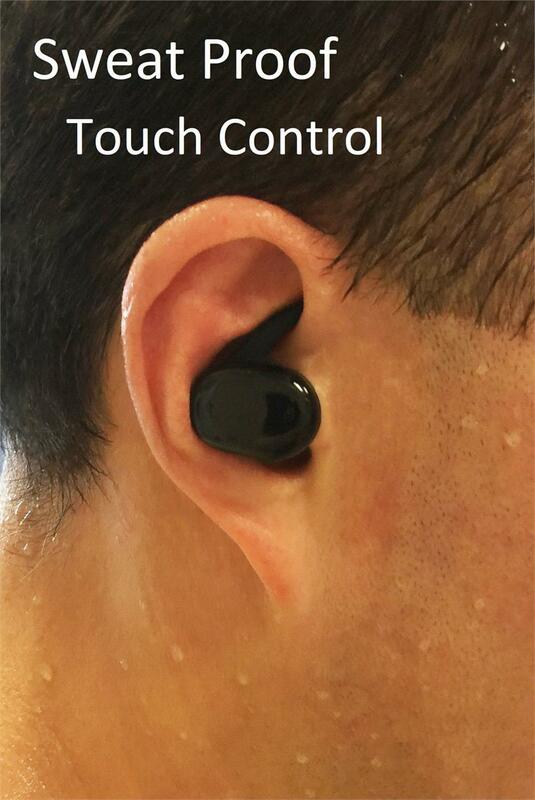 2) Sweat-Proof and Touch Control, well designed for many indoor and outdoor uses. 3) Very tiny size & ultra-light weight: (dimensions outside ear) 24mm x 17mm x 14mm and 5g (0.95” x 0.67” x 0.55” and 0.2oz). 4) Awesome quality music and voice, and loud. 5) ULTIMATE Companion headset to KOKKIA i10L_Pro / i10L_aptX / i10L / USB_Splitter_Pro / USB_Splitter / i10s aptX / i10s / i10 Bluetooth Stereo Transmitters. - User guide (English, Español, Française, Deutsch, Japanese, Italiano, Chinese).